The Book of Mormon claims to be, “Another Testament of Jesus Christ” but when it is put to the test, the gospel it embodies is nothing more than a man made concoction of of law mixed with grace; a tainted gospel that is condemned by the Apostle Paul. The Bible teaches that before, during and after God made covenants with Israel, people were counted righteous by believing the promises of God (Romans 4); not by obedience to the the law of Moses (Romans 3:20). In the book of Hebrews we read that, prior to Christ, God’s people looked forward to the promise of a heavenly city; the Old Testament version of eternal life (Hebrews 11:9-16). In addition to God’s promise of a heavenly city, the Messiah and the New Covenant were also promised (Galatians 3:8, Hebrews 8:6-13). The people of God who lived before Christ were still living by faith when they died. They did not receive the things promised; they only saw them and welcomed them from a distance (Hebrews 11:1, 13-16, 39). The Old Covenant sacerdotal system, which came 430 years after God made his promises to Abraham (Genesis 12: 1-3) was never designed to give eternal life. Its purpose was to act as a tutor and a disciplinarian; teaching people about the depths of their sinfulness. As their custodian, it watched over them and keep them in check until the fullness of time came and they could be justified by faith in Jesus (Galatians 3:19-24). Just as the promise was not the reality, the sacrifices of the Mosaic covenant were only a foreshadow of the good things that were coming in Christ (Hebrew 10:1-2). Inaugurated with the shed blood of animals, the Mosaic covenant had a very distinct beginning. When Moses took the blood of calves and goats and sprinkled the book of the covenant and all the the people, the Israelites were bound to abide by the law of Moses (Exodus 24:8, Hebrews 9:19). They were required to continually perform sacrifices for the temporary covering of sins (Hebrews 10:11). If they intentionally defied the Mosaic law, they would be cut off from Israel; that is, put to death (Numbers 15:30, Hebrews 10:28). No Hebrew was exempt from this obligation to the law until, “the fulness of the time was come, [when] God sent forth his Son, made of a woman, made under the law, to redeem them that were under the law, that we might receive the adoption of sons (Galatians 4:4-5,KJV). Because Jesus redeemed those under the law, the Old Covenant became obsolete when the New Covenant was ratified in his blood. (Hebrews 8:13, 10:9-10). Jesus addressed this in the parable of the wineskins. 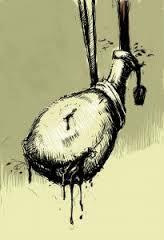 New wine can’t be poured into old wineskins: The old skins will burst and both will be ruined. (Matthew 9:14-17). The two covenants can’t be mixed. “Because of the great visions and revelations he rebloodd, Nephi shared a role with his father as a founding prophet. At a young age he was inspired by the Holy Spirit and believed his father’s words. He heard the voice of the Lord telling him that he would become a ruler and teacher over his brothers (1 Ne. 2:22). He witnessed the vision of the tree of life shown earlier to his father (1 Ne. 8), which showed him the future birth, baptism, and ministry of Jesus Christ, as well as the future rise and demise of his own people. He was shown also the future establishment of the Gentiles in the Western Hemisphere and the restoration of the gospel in their midst (1 Ne. 11-14). Because of these revelations, Nephi was able to teach his people the gospel or “doctrine of Christ”-the means by which they could come unto Christ and be saved (2 Ne. 30:5; 31:2-32:6). His carefully formulated teaching of this doctrine provided a model that other Nephite prophets invoked repeatedly (see Gospel of Jesus Christ). Splattered throughout the pages of the Book of Mormon, this concocted gospel attempts to mix the Old and New Covenants, only to rip apart the fabric of the Old Covenant and trample underfoot the New Covenant. 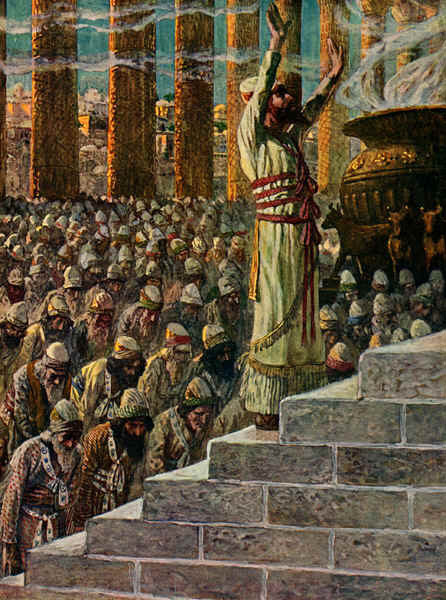 The Old Covenant was bound together and structured around the temple, the priests and the sacrifices. It was inaugurated in and kept by the blood of animals. Before the High Priest could enter God’s presence (The Most Holy Place in the temple), the blood of animals had to be spilled as a sin offering. If the High Priest had tried to enter the Most Holy Place without first making a sin offering, if he tried to enter by promising a future animal sacrifice and not by the literal shedding of animal blood, he would have died. (Leviticus 16:2-3). The New Covenant was also inaugurated in and kept by blood; the blood of Jesus (Mark 14:24). Just as no one could enter into the Old Covenant without the literal shedding of animal blood, no one could enter into the New Covenant and gain the blessings of the atonement without the literal shedding of Jesus’ blood (Hebrews 9:16-28). Claiming to receive remission of sins based on blood which had not been shed, makes Jesus’ death into nothing more than a token or a symbol. Remission of sins and the gift of eternal life are not given through tokens or symbols. They are given based on the reality of a vital union with the one who shed his blood and died to take away our sins; the one and who is eternal life (1 John 1:2, 3:5, 5:9-12). The claim that Nephi was given a revelation about Jesus Christ does not change how the covenants were ratified. The terms of ratifying the New Covenant were not, “Nephi will receive a vision about the restoration of the gospel” or “Nephi will be able to teach his people of the ‘Doctrine of Christ’.” The New Covenant came into effect only when Jesus was dead. (Hebrews 9:15-17). In Alma 22:14, the missionary Aaron preaches the the gospel of The Book of Mormon to King Lamoni’s father and tells him, “…the sufferings and death of Christ atone for their [fallen men’s] sins, through faith and repentance, and so forth..” In response, King Lamoni’s father asks, what he should do that he might have eternal life, be born of God and receive [God’s] spirit (All blessings of the New Covenant. They were not available under the Old Covenant. See eternal redemption in Hebrews 9:12-26; see the requirement for Jesus death to be born again in Jn 3; see Jesus promise of the Spirit in John 14:16-18). Aaron responds to Lamoni’s father, “If thou desirest this thing, if thou wilt bow down before God, yea, if thou wilt repent of all thy sins, and will bow down before God, and call on his name in faith, believing that ye shall receive, then shalt thou receive the hope which thou desirest.”…and Lamoni’s father does so. This story is infused with the Biblical concepts of calling on God’s name in faith, repentance, bowing down, believing and receiving. It has a strong air of authenticity. However, when tested, it is missing the most essential ingredient required for the forgiveness of sins: a sacrifice. Aaron’s gospel overlooks the fact that under Mosaic law animal blood must be shed to make atonement for sins (Leviticus 17:11). Instead of requiring an animal sacrifice, Aaron tells King Lamoni’s father he is covered by Jesus’ sacrifice; a sacrifice that has not taken place and does not exist. Today, we look back on Jesus’ death and from our perspective we see that the people of faith who lived under the Old Covenant are now covered by the reality of Jesus’ sacrifice. When they lived under the Old Covenant they were counted righteous because they believed God’s promises; not because those promises were a reality. As a demonstration of their faith in the promises of God, they performed the animal sacrifices required under the covenant they had with God. They did not claim remission of sins based on blood that had not been shed or a covenant that did not exist. This is the bitter gall The Book of Mormon asks us to swallow – wrapped in catch phrases and words that have been lifted from the Bible. In 1982 the LdS Church labeled the Book of Mormon, “Another testament of Jesus Christ”. The word, “testament,” is Latin for covenant. The Book of Mormon is not another covenant of Jesus Christ. It is not , “Another testament of Jesus Christ”. The Book of Mormon teaches a gospel that violates both the Old and the New Testaments of God. Those who imbibe it’s false gospel will stumble and fall short of the pure grace and truth that are offered to us by Jesus Christ. “And he took the cup, and gave thanks, and gave it to them, saying, Drink ye all of it; For this is my blood of the new testament, which is shed for many for the remission of sins.” (Matthew 26:27-28, KJV). The law was given by Moses, but grace and truth came by Jesus Christ (John 1:17). Another gospel comes by the Book of Mormon. Marie Johnson is a free lance writer and researcher in Utah who specializes in Latter-day Saint culture and theology. So there you have it, according to BYU, Dr. Lynn Ridenhour is living proof of the veracity of Mormonism as well as the epitome of what a truly honest, spirit-led, and enlightened Protestant/Evangelical/Mainstream Christian looks like. Care to argue with the Church owned university? Further, Dr. Ridenhour’s article, “The Baptist Version of The Book of Mormon: Protestant Doctrines within the Book of Mormon” is typically cited or linked to as proof of Dr. Ridenhour’s great spiritual enlightenment. This is the circa 2001 article in which he claims that the following Baptist doctrines can found in the Book of Mormon: Born Again Experience, Plan of Salvation, Plan of Redemption, Salvation, The Lord Jesus Christ, Repentance, Faith, and Grace. Lynn Ridenhour is right . . . The two go hand in hand, really–Protestant doctrine and the Book of Mormon. They’re not at odds.The Book of Mormon is filled with Protestant cardinal doctrines, believe it or not. In fact, I discovered, the Book of Mormon is more “Baptist” than the Baptist hymnal in places. I know that’s hard to believe, but it’s so. I read the Book from cover to cover and found as a Baptist minister, there is absolutely nothing in it that contradicts the Bible. 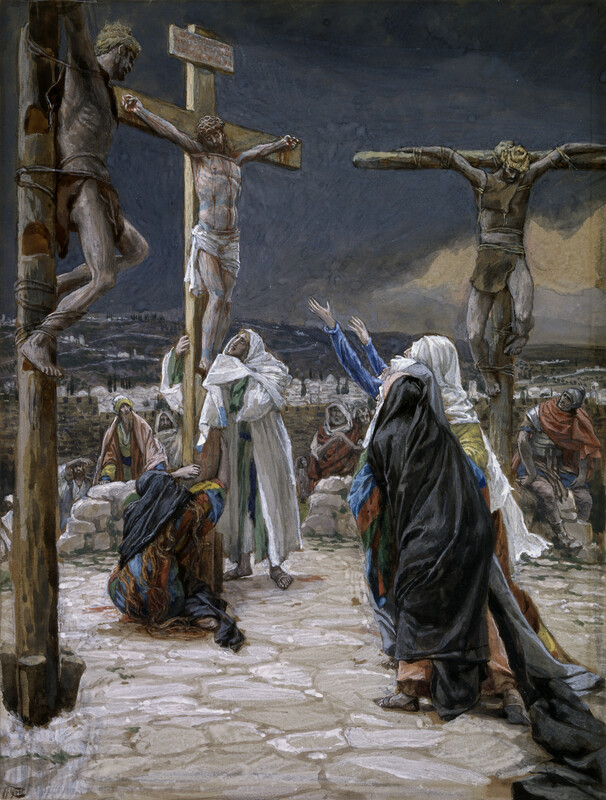 And he hath brought to pass the redemption of the world, whereby he that is found guiltless before him at the judgment day hath it given unto him to dwell in the presence of God in his kingdom, to sing ceaseless praises with the choirs above, unto the Father, and unto the Son, and unto the Holy Ghost, which are one God, in a state of happiness which hath no end. And now, behold, this is the doctrine of Christ, and the only and true doctrine of the Father, and of the Son, and of the Holy Ghost, which is one God, without end. Amen. And after this manner shall ye baptize in my name; for behold, verily I say unto you, that the Father, and the Son, and the Holy Ghost are one; and I am in the Father, and the Father in me, and the Father and I are one. And now, my sons, I speak unto you these things for your profit and learning; for there is a God [notice: singular not plural], and he hath created all things, both the heavens and the earth, and all things that in them are, both things to act and things to be acted upon. For behold, by the power of his word man came upon the face of the earth, which earth was created by the power of his word. Wherefore, if God [again, notice: singular not plural] being able to speak and the world was, and to speak and man was created, O then, why not able to command the earth, or the workmanship of his hands upon the face of it, according to his will and pleasure? And we know that if we are faithful in Christ, we shall rid our garments of the blood of all men, and be found spotless before the judgment-seat of Christ, and shall dwell with him eternally in the heavens. And the honor be to the Father, and to the Son, and to the Holy Ghost, which is one God. Amen. So Lynn Ridenhour is right about the strong Protestant affirmation in the Book of Mormon. But does he really “get it” folks? Answer: No. While Dr. Ridenhour’s evidence is sound, his “leap of faith” conclusion that the book was divinely inspired and testifies of Joseph Smith’s legitimacy as a true prophet of God isn’t. After all isn’t this abundance of 19th Century Protestantism exactly what we would expect to find in the Book of Mormon given the sources that Joseph Smith synthesized, compiled, and plagiarized it from?5 Why is any of this astounding, surprising, or deserving of over-the-top hyperbolic gushing like . . .
“…Here is a man,” says Evan, “who was born in the stark hills of Vermont; who was reared in the backwoods of New York; who never looked inside a college or high school; who lived in six States, no one of which would own him during his lifetime; who spent months in the vile prisons of the period; who, even when he has his freedom, was hounded like a fugitive; who was covered once with a coat of tar and feathers, and left for dead; who, with his following, was driven by irate neighbors from New York to Ohio, from Ohio to Missouri, and from Missouri to Illinois; and who, at the unripe age of thirty-eight, was shot to death by a mob with painted faces. Yet this man became mayor of the biggest town in Illinois and the state’s most prominent citizen, the commander of the largest body of trained soldiers in the nation outside the Federal army, the founder of cities and of a university, and aspired to become President of the United States. Studies of Latter-day Saint sermons and curriculum from the earliest period of church history well into the 20th century demonstrate surprisingly little use of the Book of Mormon to establish doctrines or as a text from which to preach. Many Saints were converted by reading it, but, thereafter, they tended to overlook its specific content. Early members, mostly converts, knew the Bible well and used it extensively in their teaching and missionary efforts, but the Book of Mormon served mainly as a kind of talisman, its sheer existence pointing to Joseph Smith’s prophetic calling. 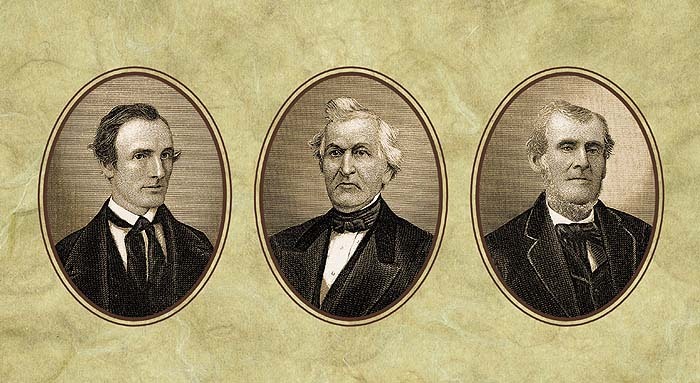 Using Dr. Ridenhour’s criteria for Joseph Smith isn’t C.S. Lewis a prophet too? So how and why would one conclude that because Joseph Smith was able to put together a 19th Century work of fiction (and one that’s merely a reflection of the Christianity of his time) that he was a prophet of God? Should we declare John Bunyan a prophet for writing “Pilgrim’s Progress”, or C.S. Lewis for writing “The Chronicles of Narnia”,“The Screwtape Letters”, or “The Space Trilogy”? After all, many moderns sense the same spark of the divine in those books that Mormons do in the Book of Mormon. So if the Book of Mormon is a legitimate prophetic credential for Joseph Smith why aren’t these works for these authors? With all due respect to Dr. Ridenhour, this is beyond an irrational leap of faith – it’s patently absurd! This is especially true when one considers what Smith followed the Book of Mormon with. The Book of Moses, The Book of Commandments, Doctrine & Covenants, The Book of Abraham are filled with heresy of the type that any qualified ordained Southern Baptist minister would and could never endorse – let alone bear witness to someone who as a true prophet of God! Oh, and by the way, the Book of Mormon does indeed contradict the Bible repeatedly – on that point Dr. Ridenhour is simply wrong.11 OK, but that said, even if I’m generous and go along with his premise that, “the grand themes of Protestantism are found recorded through and through from cover to cover” in the Book of Mormon . . . So what? Modern Mormonism still can’t be found in it. So in the end Dr. Lynn Ridenhour is much ado about nothing! But wait, if that’s not enough, there’s more. Lynn Ridenhour speaking at Graceland University, the flagship university and seminary of the Community of Christ. These facts usually sober the Latter-day Saint crowd up in regard to his shtick. When all this “other stuff” starts coming up Mormons of all flavors tend to drop Dr. Ridenhour like a hot potato and then get some distance – quickly. BYU Professor Robert Millet and Lynn Ridenhour at a joint speaking engagement that they did at the historic Stone Church in Independence, Missouri in June 2013. 1 Dr. Ridenhour’s claim of being an ordained Southern Baptist Minister has always been in dispute. He claims to have received this ordination in 1965 in a small Baptist church in Missouri but has never produced any verifiable evidence for it and the details that he has provided are cryptic and sketchy. For what it’s worth, Dr. Ridenhour’s open letter regarding these issues, entitled “Clearing up Baptist Background Controversy” (now archived) can be found here. Unfortunately, due to the fact we’re talking about something that supposedly happened fifty-years ago and before the digital age, most of the principals involved are most likely dead now. So until Dr. Ridenhour produces some hard and verifiable evidence that he is indeed currently a Southern Baptist Minister in good standing, the qualifier “alleged” will remain regarding this claim. Finally, please note that email and social media requests to Dr. Ridenhour for objective, verifiable evidence of his Southern Baptist ordination (such as a scan of his ordination certificate, letter of ordination, clerical license, etc.) have gone unanswered as of the date of publication. 2 Keith J. Wilson, “A Witness of the Restoration”, BYU Religious Education website. 3 Lynn Ridenhour, “The Baptist Version of The Book of Mormon: Protestant Doctrines within the Book of Mormon”, CenterPlace.org website. Bolding and italics are in the original article. The links to an online 1908 RLDS edition of The Book of Mormon have been added for this article. 4 It should be noted that the strong, explicit Trinitarianism of the Book of Mormon somehow gets overlooked in Dr. Ridenhour’s writing and in his presentations to Brighamite Latter-day Saints – who are Tri-Theistic, unlike their Trinitarian RLDS/CoC counterparts. One could very easily get the impression that this is deliberate. It should also be noted that Dr. Ridenhour has written on the Trinity. However, his writing on the subject (which is sparse) demonstrates ignorance rather than mastery of Trinitarian orthodoxy. Candidly, he seems as confused on this doctrine as he does on most points of essential Christian orthodoxy. This general confusion on Dr. Ridenhour’s part raises even more questions about his claim to be an ordained Baptist minister. Specifically, it raises questions as to why a Baptist church (a denomination known for its unyielding commitment to sound doctrine and biblical fidelity) would ordain someone this theologically compromised. 7 Harold Bloom, “The American Religion”, Chu Hartley Publishers. Kindle Edition, Locations 1184-1189. 10 Alexander Campbell, “Delusions: An analysis of the book of Mormon with an examination of its internal and external evidences, and a refutation of its pretenses to divine authority”, The Millennial Harbinger, February 7, 1831. Red bolding added for emphasis. and Luke P. Wilson, “Contradictions Between the Book of Mormon and the Bible”. 12 See Lynn Ridenhour, “Those Crazy Charismatic Book of Mormon Lovers”, now archived. The reader will also note that all Book of Mormon and other references in Lynn Ridenhour’s work uses RLDS/CoC scripture rather than the equivalent LdS Church scripture. 13 See Lynn Ridenhour, “All Things to All Men — Is Lynn a Baptized Member?”, now archived. 14 While readily admitted the anecdotal nature of the evidence backing this claim, the fact remains that Dr. Ridenhour publicly expressed this in response to Bob Betts’ challenges regarding Joseph Smith’s polygamy, polyandry, and criminal activities on the now-defunct Concerned Christians discussion board back in 2006. He reiterated it to both Bob Betts and me on the same discussion board again in 2009 when we challenged him with the same historical facts. Further, John Hamer, a historian for the Community of Christ and a former President of the John Whitmer society has confirmed that Dr. Ridenhour has said this to him in private email exchanges. Other Community of Christ/RLDS members have disclosed that he has said it in person before or after speaking in their congregations – however, never during his public addresses. However, when his back is pressed against the wall regarding the overwhelming body of historical data regarding Joseph Smith’s late in life megalomania, sins, and crimes, Dr. Ridenhour will join us in reality (after all Andy Griffith and Roy Rogers were actors playing fictional characters on television. The real men were just men.) and acknowledge that things are far more nuanced regarding the Joseph Smith “prophet puzzle” than his standard, public shtick (which is also largely anecdotal) would indicate. Despite Dr. Ridenhour’s claims the Bible and the Book of Mormon are not in harmony and do, in fact, contradict. Appendix: Is the Book of Mormon Really “Baptist”? The following analysis is from Donna Morley a Christian author and Adjunct Faculty member in the Communications department at The Master’s College. The two go hand in hand, really– Protestant doctrine and the Book of Mormon. They’re not at odds. The Book of Mormon is filled with Protestant cardinal doctrines, believe it or not. In fact, I discovered, the Book of Mormon is more “Baptist” than the Baptist hymnal in places. I know that’s hard to believe, but it’s so. I read the Book from cover to cover and found as a Baptist minister, there is absolutely nothing in it that contradicts the Bible. For example, the book uplifts the blood of Christ (Mosiah 1:118, RLDS), declares that salvation is only by God’s grace (2 Nephi 7:42, RLDS), defends the grand theme of salvation (Mosiah 1:108, RLDS), and proclaims that salvation comes only through faith on the Lord Jesus Christ (Mosiah 3:8,9, RLDS). Other themes such as repentance, atonement by Christ’s blood, redemption, and forgiveness run like a scarlet thread through the book as well (Alma 3:86, Helaman 2:71, Alma 13:13, Mosiah 2:3,4, all RLDS). Thus, our “tongue ‘n’ cheek” title, The Baptist Version of the Book of Mormon. I’m telling you, the grand themes of Protestantism are found recorded through and through. From cover to cover. Jesus Christ did what only He could do in atoning for our sins. To make His Atonement fully effective in our individual lives, we must have faith in Christ, repent of our sins, be baptized and confirmed by one having authority, receive the gift of the Holy Ghost, obey God’s commandments, receive sacred ordinances, and strive to become like Him. As we do these things through His Atonement, we can return to live with Him and our Heavenly Father forever. According to Mosiah, without “good works,” Christ won’t seal you as His, nor will you be brought to heaven. (Mosiah 3:21, RLDS, bolding added). Other themes such as repentance, atonement by Christ’s blood, redemption, and forgiveness run like a scarlet thread through the book as well (Alma 3:86, Helaman 2:71, Alma 13:13, Mosiah 2:3,4 [all RLDS]). Let’s get this straight. Alma the elder (to distinguish from his son, “the younger”) was born roughly in 174 B.C. In the Book of Mormon, he was a Nephite prophet. He was the one to establish the Church of Jesus Christ in the Americas. Here’s an obvious question, how is the Church of Christ established when Christ had not even been alive in 174 B.C.? Historically speaking, this just doesn’t add up. As we know Jesus preached about repentance (Matthew 4:17; Mark 1:14, 15). He told us we must be “born again” (John 3:1-21). You can find this in the New Testament teachings of Christ, NOT in a story that supposedly took place in the B.C. era. While the message of repentance and being “born-again,” is a good message, so too is the story of Pilgrim’s Progress, yet we certainly can’t say, historically speaking, that the Pilgrim’s Progress is true. We just don’t have any evidence, just as there is not any evidence for the Book of Mormon story. Notice the above words, “only through the atoning blood of Jesus Christ.” We’ve already discussed the Mormon atonement, so we won’t belabor the point any further, only to say that Ridenhour does not understand the Mormon view of Christ’s atonement. For him to believe it’s identical to the biblical view, is reckless on his part, since he claims to be a “Christian pastor” (which, as noted in footnote 1 of the main article is debatable). In the above, Alma stated that the high priests escaped damnation only by working righteousness. The righteousness is credited as “their righteousness.” This isn’t the unconditional grace that’s taught in the Bible. 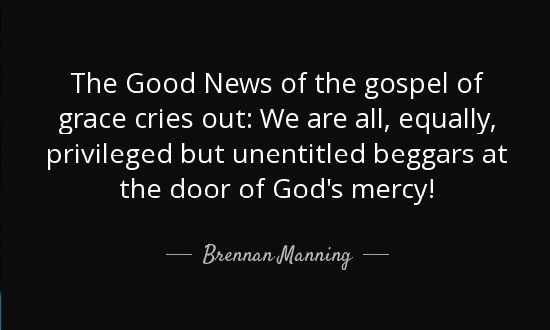 This is conditional grace where one must perform good works in order to merit grace rather than it being a unilateral gift of unmerited favor and mercy from God Himself! So despite the hyperbolic spin doctoring, what we see again and again in Lynn Ridenhour’s work is confirmation bias driven hermeneutics where he ignores context, and cherry picks proof texts that support his predetermined conclusions – while simultaneously ignoring those that don’t. This isn’t honest biblical scholarship, this is blatant manipulation. The vernacular term for this is “scripture twisting”. And without it, Lynn Ridenhour’s thesis that the Book of Mormon doesn’t contradict the Bible, teach another Christ, or preach another gospel, simply falls apart. Therefore, and in conclusion, if Lynn Ridenhour thinks that the Book of Mormon offers “grand themes of Protestantism,” then he is either confused about Mormonism and the Book of Mormon, or he’s confused about Biblical Christianity and the Word of God—the Bible. One thing for sure, something is amiss in his thinking. – MormonInfo.org has archived a series of open letters to Lynn Ridendour here. These letters were written after his article, “The Baptist Version of The Book of Mormon: Protestant Doctrines within the Book of Mormon” was originally published on his website. These letters are not only interesting from a historical perspective but contain some arguments and evidence that are outside the scope of this article. – There are several excellent reference articles on the contradictions between the Bible and the Book of Mormon. First and foremost, I would recommend the late Luke P. Wilson’s, “Contradictions Between the Book of Mormon and the Bible” as a brief overview. Second, Sandra Tanner’s, “Bible and Book of Mormon Contradictions” provides a nice drill down with full source citations. Her companion article, “Contradictions in LDS Scriptures” also discusses the differences between the Book of Mormon and Joseph Smith’s other, later revelations. Finally, Marian Bodine’s, article for the Christian Research Institute, “The Book of Mormon Vs The Bible” is a long but rewarding tour of intra-book contradictions. – Portions of this article were previously used in “Weak Arguments #7: ‘The Book of Mormon doesn’t have a trace of orthodox, mainstream Biblical Christianity in it.’”. Reading this article will give the reader the “big picture” view that Lynn Ridenhour is missing in his analysis of the Book of Mormon. It’s my opinion that if Dr. Ridenhour had considered the greater historical, social, theological, and cultural context surrounding the advent of the Book of Mormon he never would have stumbled into the error that he has. – My article, “Weak Arguments #6: “Mormon doctrine was heretical from the very beginning.”’ explores how Mormonism started out largely aligned with mainstream 19th Century American orthodoxy only to slide into heresy and error down the road. Conspicuously absent in Dr. Ridenhour’s rhetoric is an acknowledgement that the modern Latter Day Saint Restorationist movement is buried under the heresies and blasphemies which emanate from the revelations of the false prophet Joseph Smith that came after the Book of Mormon was published. This is particularly true of the Brighamite Salt Lake City LdS Church but is also true to varying degrees of all the various Latter Day Saint splinter groups, denominations, and affiliates. This article demonstrates that the Book of Mormon is now in fact an incongruous relic of a Mormonism that simply no longer exists today.